Winter is coming? We’re months away from the new season of Game of Thrones, but the UK temperatures have definitely dropped. The winter is here! Our internal research shows that accidents are 18% more frequent during the winter months than in the summer. Dark days and difficult weather conditions, such as driving in snow, fog or icy roads, increase risk for all drivers – and if the Beast from the East taught us anything, it’s something we should be prepared for. We’ve shared advice with you on how to drive in the winter, but here are some real-life hacks to make sure your car’s ready for the winter road. Save your engine by using a good mix of antifreeze and water – some types of antifreeze last for a couple of years. Stop the engine immediately, if your car’s making any unusual noise. A continuous high-pitch noise can mean your water pump’s frozen in which case it’s best to keep your car in a heated garage for a while. Did you know that most car batteries last a maximum of five years? To save battery and electrics in the winter, turn off your lights, heating and wipers before starting your car. If your engine doesn’t start immediately, try it in short bursts and wait 30 seconds between your attempts. To make sure you have good vision before taking off, defrost your windows and mirrors. Switching the air-con on for a moment will demist the screen faster. 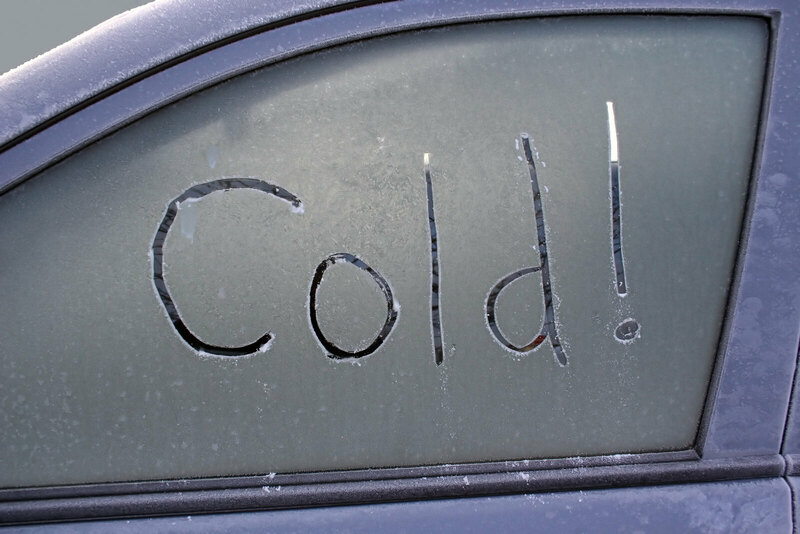 Water with vinegar makes a good DYI de-icer – never use hot water as it can crack your windscreen! If you don’t have an ice scraper, you can use a credit card to scratch off the stubborn ice. A tyre tread of 3 mm is recommended for a good grip in the winter months. A quick way to check the tread is the 20p test: place a 20p coin into the main tread grooves of the tyre and if the outer band of the coin is still visible, your tyres might be unsafe. Consider winter tyres, if your area experiences a lot of snow. The Wild West of Internet can give you plenty of ideas to survive through the worst winter months – just get creative! Lift up your wipers for the night to stop them freezing – you can even cover them with socks! Protect your mirrors by covering them with freezer bags. Park your car facing the sunlight, and facing east overnight (simple but helpful!). Dip your key in hand sanitizer and the alcohol will melt the ice inside a frozen lock. A cat owner? Fill up a sock with cat litter and leave it in the car overnight to absorb the moisture. Save yourself time and keep your car prepared. Check out the infographic below to prepare your car for winter driving (click on the infographic to enlarge).